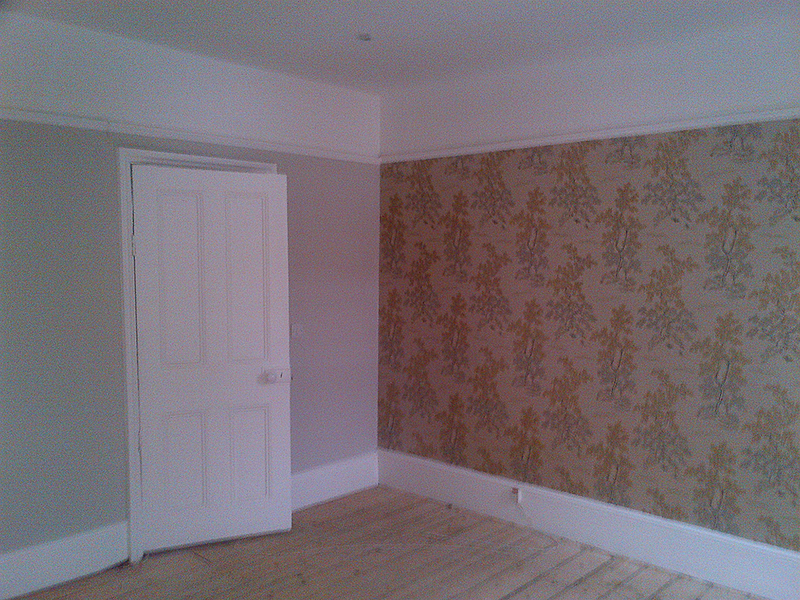 South West London Decorator Plastered! 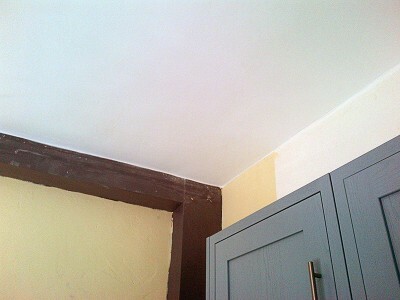 They were looking for a South West London decorator who could not only paint but make good badly damaged ceilings by plastering in 3 parts of the house. 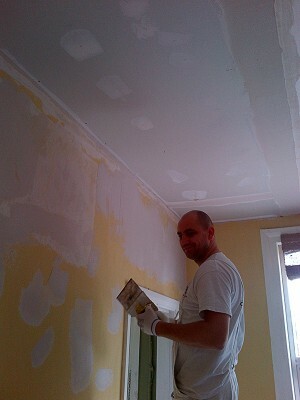 We didn’t actually start to paint until at least the fourth or fifth day. 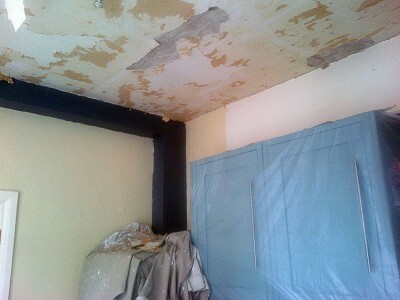 Despite having new plaster boards, on certain parts of the ceiling there was a distinct dip at the edge of the ceiling. 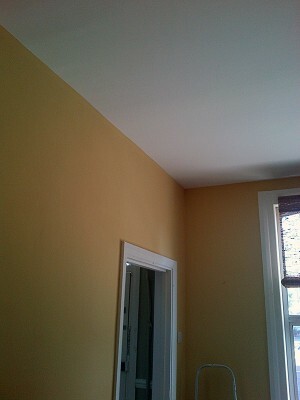 This was rectified with three coats of filler along that side of the ceiling. 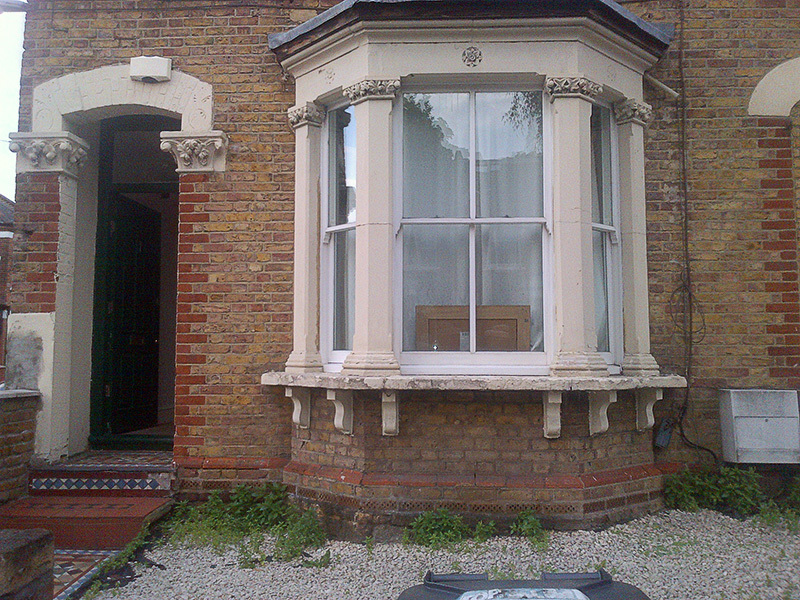 Here are some before and after shots of the work. Please note that for the second pair of photos in the kitchen only the ceiling was being decorated. 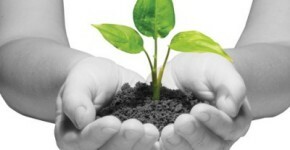 When our clients see the huge amount of work that goes into the preparation stages of the work they realise we are excellent value for money. 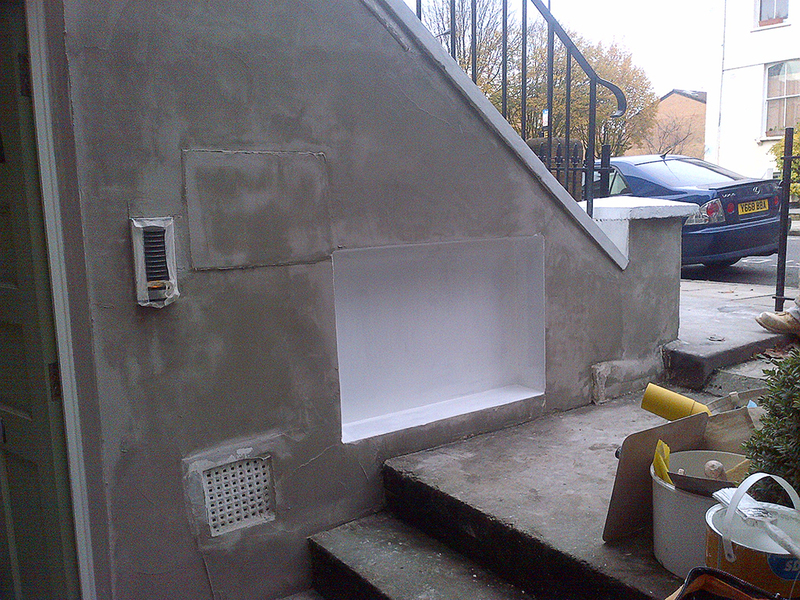 In fact even when the primer or first coat of paint has been applied (post filling and sanding) we will go back and fill again to achieve that perfect finish. We continued with the hall and landing areas including brilliant white flat matt ceilings throughout, vinyl matt green on the walls and brilliant white eggshell finish on the doors, architraves and bannisters. 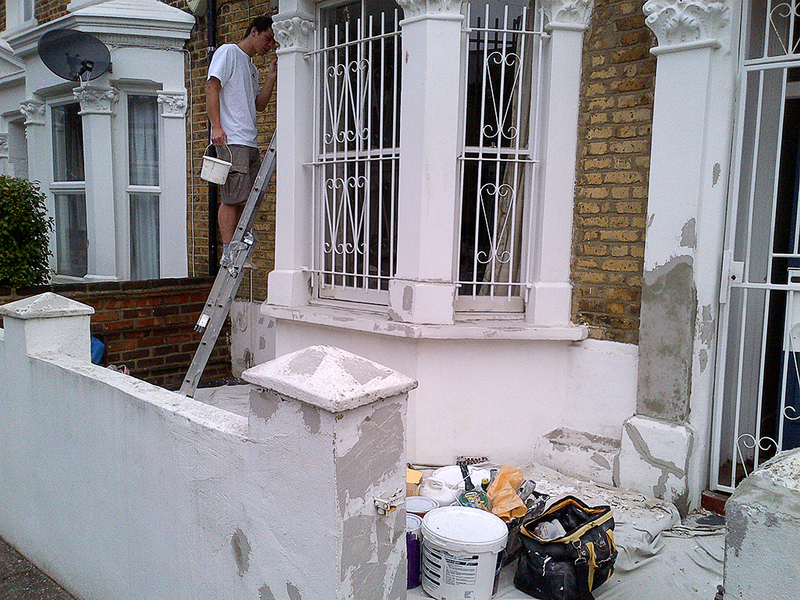 And another very hard week or so’s work the last thing on our minds was to get plastered . I think we both crashed as soon as we got home that night. I certainly did. 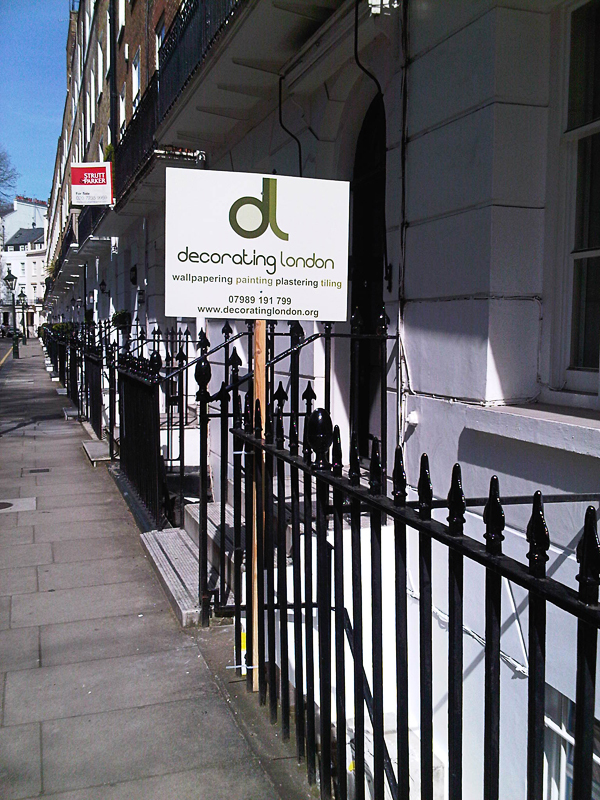 Decorating London is a South West London decorator based in SW8. 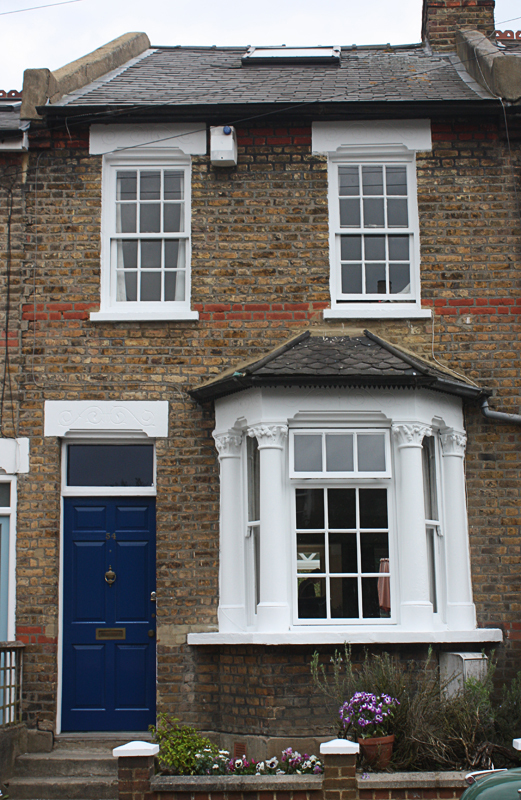 If you are looking for a South West London decorator why not contact us?